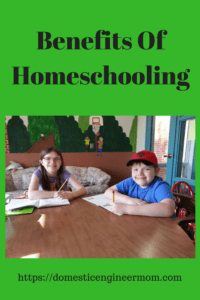 How To Homeschool/Is Homeschooling A Good Idea? 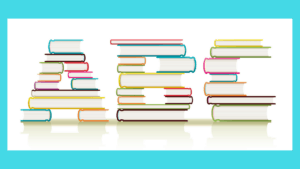 Learning how to homeschool is all about trial and error. Usually a lot of error. So you may be asking is homeschooling a good idea for my child? Thinking about homeschooling can raise some specific questions and fears. Do you have doubts that you can do it? Is the fear of not knowing what you need to teach holding you back? Believe me, and I had all those fears when I was thinking about homeschooling our first daughter. It was 18 years ago, and our oldest daughter was going to entering Kindergarten. I was a stay at home mom of 2 girls at the time, so this choice was not going to affect us financially. I didn’t know a whole lot about homeschooling. But I liked the idea of teaching what I wanted for her to learn. So I didn’t have a plan in place, and there was still some social stigma still around about homeschooling your children. You either had to be weird and unsocial to homeschool or a religious fanatic with religious beliefs against secular learning. Of course, that was neither the case for us. Well to make a long story short, I let fear creep in, and I buckled under pressure and put her in school. Look, here is the thing, I didn’t have much family support, except my husband. He was just as uninformed as I was. Social media wasn’t around, and the internet hadn’t been around that long and available in our homes. I didn’t know anybody personally that was homeschooling at the time. We lived in a small town out in the country, and I didn’t know very many people. Oh, I’m sure there was info out there, but I didn’t know who to ask. So two days after school had already started I went down and enrolled her. Oh and I’m sure I looked like a complete idiot because they asked me why she didn’t start on day one. I remember telling them that I wanted to homeschool but couldn’t get everything in place to be able to do it. The secretary at the school just looked at me with a blank stare. Good thing this was the town my husband grew up in so they knew who I was married too. She continued to attend public school through the 1st grade. This is where my homeschooling journey begins. We were going to a church at that time where several families homeschooled. Our oldest daughter was in 1st grade, so this was a good opportunity for me to get myself educated on how to begin homeschooling. I don’t recall the curriculum I used during the first year. What I do know is all the subjects were in the book, and it used the library for most of the resources. I honestly wish I could remember because it was pretty simple to use. A church member had lent it to me to use. So I would say the book was already ten years old by the time I used it. I do remember it was quite challenging for the both of us to get into the rhythm of things. The next year came around, and I was preparing to homeschool both of my children. Our second oldest was going to be starting kindergarten. I was also pregnant with our 3rd child and preparing for a move so had a lot on my plate. I knew I needed a curriculum that had everything planned out. At the time when I was researching what curriculum I was going to use we were told that our 3rd child was going to born with serious medical needs. The easy solution would have been to put both girls in public school so I could focus on our 3rd daughter’s needs. But that would go against what my heart was telling me. We would face this challenge head-on as a family and figure things out. So this leads me to choose a curriculum that would also use literature as the basis for most subjects. Reading aloud to your children is the best way to bond and to be able to explore other cultures and reading the classics while you watch them learn at the same time. Reading opens the door to the imagination and an excellent way to open up communication with your children. This is why I choose FIAR (Five In A Row) I could buy all the books I needed for the curriculum and not have to go to the library to get them. I don’t want to make this post about curriculum, but I want to point out what I used to make the transition easier for what was ahead. There will come times when the easiest is the best route. No fuss! I knew in my heart that I needed to homeschool even though the road was going to be long and crooked but I had the faith that would get me through. There is also the need of needing to homeschool. Wither it be poor performance of the school district your living in. Wanting to be able to control what your children are learning. Medical or special needs necessity because schools are not following through. Or bullying and the fear of rising crime in our schools. Believe me, and I’ve heard that last one more than I would ever want to. I know this second question the best. I have 2 special needs children that have a vast variety of learning issues and medical needs. Homeschooling them has been and continued to be the best option for them. This allows them to get all the therapies they need without interfering with school. This leaves a lot more options available to them. I can spend one on one time with them and address learning issues where they are delayed. Other people have asked me if I am trained to teach children with special needs. My answer is always “yes as a matter of fact because I am their mother and that makes me the best-qualified teacher for them. Oh yeah and also you can be a dad and have that same answer. I don’t want to leave anybody out. Anyone that wants to homeschool can. It doesn’t matter what learning style your child has or if they have a learning disability. With all the resources we have available to us now you find a curriculum to fit any learning style. Before you start homeschooling check with your state’s requirements because each one has their requirements. I find the best resource to find this information at is the HSLDA. So for addressing wanting or needing to pull your child out of traditional school has a variety of reasons. First and foremost always remember “it is your right as a parent or legal guardian to choose to homeschool” and don’t let anyone tell you otherwise. Just make sure that you communicate to your child why they are being homeschooled if they don’t understand already. 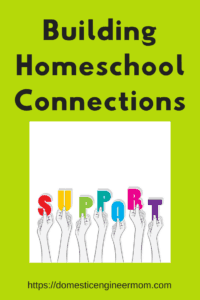 Pinterest- What a great resource they have become for everything about homeschooling. Co-ops are also good to belong to. This gives children an opportunity to learn about other subjects of interest and gives a good social outlet. You can also just do an internet search for your city or state on homeschooling groups. There is usually a good amount of groups to join depending on where you live. 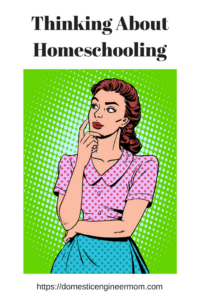 Don’t be afraid to ask anyone who homeschools. I guess depending on how busy or how often you check your email most bloggers who homeschool will answer your questions. Well, I guess I better speak for myself. Yes If you have something I can explain I will happily help you or find someone or the resource that can. In conclusion, I hope this answered the question of ” Is homeschooling a good idea?” I hope that it helps to make your decision on homeschooling. I know from my experience this has been and will always be the best choice for us. Homeschooling gives you the opportunity to bond with your child or children on a whole other level. The flexibility you have to choose in a curriculum. What style of learning your child prefers or needs. Do you want a traditional school calendar or year round one? We prefer year round to accommodate medical appts, hospital stays, and therapies. But also they can retain the info they learn better. Enjoy these years you have to do this because I can tell you know that they go by fast. Writing this post brought up so many good memories I have of schooling my 2 older girls. That first year I didn’t know if I was cut out to do it, but we did it, and I’m still forging on. I am adding some links on here on some recommendations for curriculum and resources so feel free to check them out! If you have any questions, please email me, and I will try to get to as soon as possible. Also, sign up for my blog updates, so you will be in the first to know. There are Affiliate and Referral links above to promote products that I love and recommend using. I do receive a commission on any purchases made through these links.